Interior design exists at the intersection of architecture and people. It is both technical and artistic in nature – integrating codes, life safety, functionality and considerations for user wellness, while combining color, light, materiality, texture, and sound – in fact looking for ways to engage all the senses. It seeks to unite each to achieve a successful built environment. 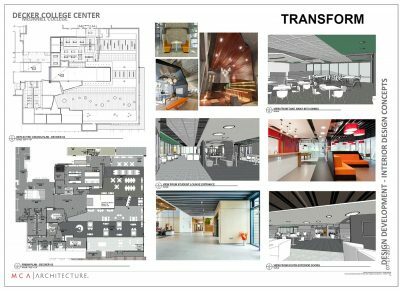 We believe it is this intersection of the built environment and the human experience that makes it so vital to listen, question, and explore our clients’ goals for their organization’s space from project inception to completion. With a collaborative approach to the design process, we are better able to deliver a high performing and aesthetically pleasing interior. At Marshall Craft Associates, our designers work side by side with our colleagues and clients, practicing an integrated and hands-on approach to the design process. We invite clients to be partners in the process all the while integrating the latest design tools and technology. 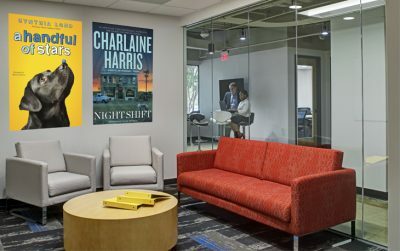 Our designers bring their expertise in wellness, workplace, and educational trends as well as sustainability, materials, evidence-based design, and LEAN process to each interior place. 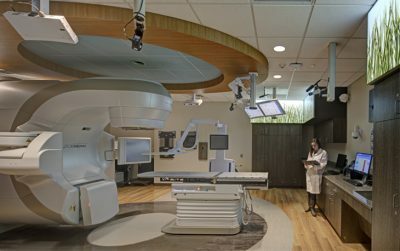 With these tools we seek to create an interior environment that realizes our clients’ vision while simultaneously respecting technical, budgetary, and time requirements. We create interior environments that create success for you. We utilize a range of tools to thoughtfully and strategically develop your project. 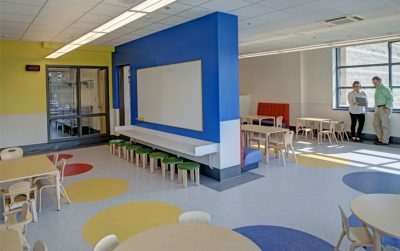 These include concept studies, space analysis, furniture and finish assessments and specifications, 3-D and 2-D renderings, design charrettes, evidence-based design mockups, product samples, and more. We believe integrating the right tools at the right stage moves the team forward together. Our Interior Designers employ a variety of visualization and presentation tools to portray design concepts in a way that helps our clients fully understand the design intent, and help ease the decision process. These help bring the design to life, before any hammer hits a nail…. We believe in tailoring our services to appropriately fit your scope. Incorporation of our Interior Designers brings a holistic approach to any scope, to assist with meeting our client’s goal. We are adept at providing the following services individually or as part of a coordinated whole. Our Interiors team supports our larger architectural projects to service clients and projects across multiple market sectors. We are adept at providing the following services individually or as part of a coordinated whole. 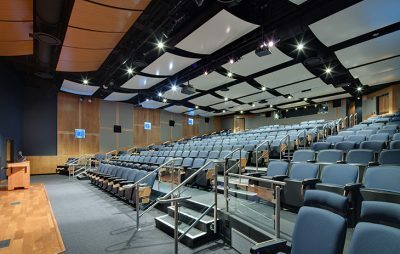 American School & University awards Arts and Sciences Lab as an Outstanding Design in its Educational Interiors Showcase. 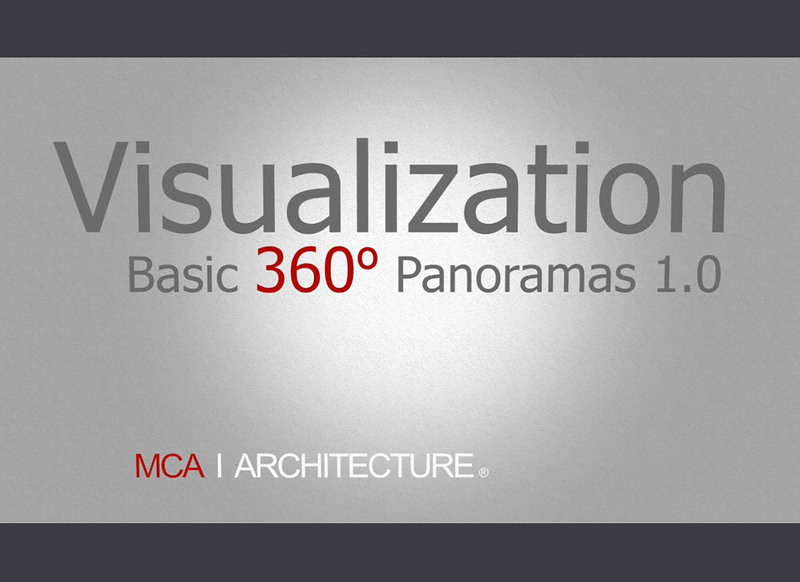 MCA thoughtfully employs available technologies to develop and communicate our designs. 3D modeling, renderings, and virtual walk-throughs are valuable tools in the design process because they convey what it would be like to inhabit the space. In fact, we can use various levels of both Augmented Reality (AR) and Virtual Reality (AR) to take this a step further by transform our 3D computer model into a digital virtual environment that can be explored using AR goggles or your computer or mobile device screen from files that we can email to and can be viewed online. This will give you a chance to “virtually” stand in and look around your space before it is actually built. Click on the video link for an example of a panorama rendering for an executive office. The image was emailed to a client while out of town, to show the placement of custom furniture. 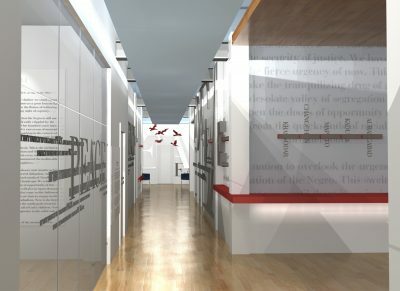 They were able to navigate through the room virtually on their phone and other mobile devices and then communicate comments directly back to our design team. 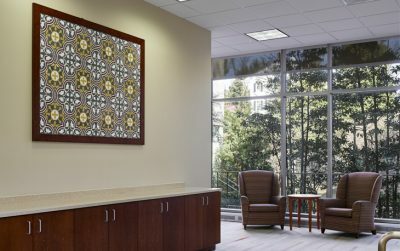 When artwork becomes an integral part of the design, it serves to reinforce the overall design concept and can have a profound positive effect on building occupants, while having additional benefits such as assisting with wayfinding. 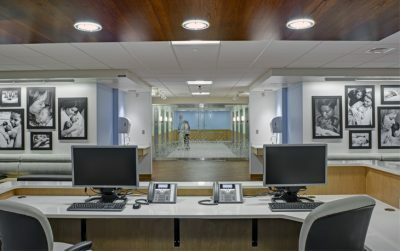 For example, MCA selected the artwork for the Neonatal Intensive Care Unit at University of Maryland Medical Center to accentuate biophilic design elements. 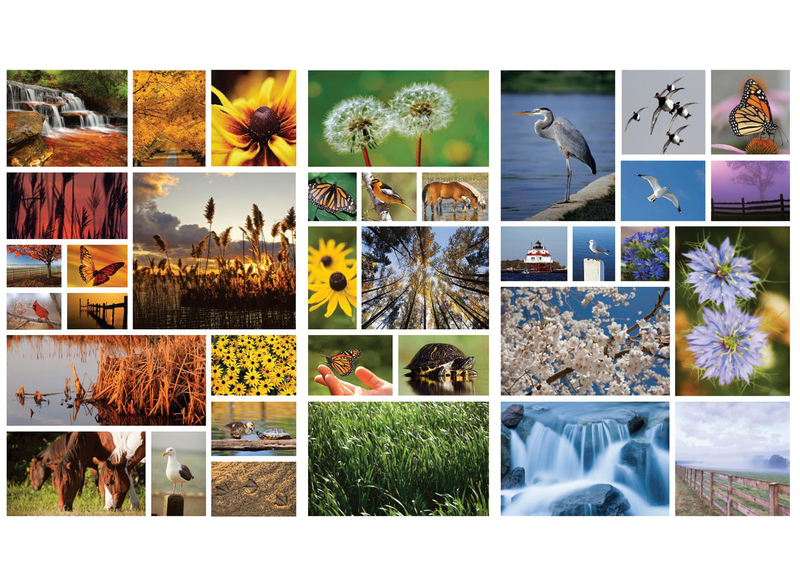 The serene, natural images evoke a sense of tranquility to promote healing, not expressly for the very young patients, but also for their families and hospital staff undergoing difficult and stressful times. The artwork is arranged in the corridors by their predominant color, giving each corridor a distinct identity. It became a subtle yet effective method to address wayfinding.